‘Henry, is this the end of the road’ bellowed the Bullingdon crowd on a song that has far from reached the scrapyard of its shelf life. Likewise, thirteen may be considered an unlucky number, but for that many minutes tonight, the ‘Colonel and the King’ fizzed, buzzed and echoed around this packed Oxford venue. Vintage Danny and the Champions of the World were certainly in fine fettle as the tour to promote the new record swung into action. Amazingly Danny seemingly failed to mention the new release, although its availability on the evening was a given and what better way to plug an album than sprinkle a majority of the tracks into this hour and a half extravaganza of home grown country, soul and roots music. Something old was evident as was something new. The only thing borrowed was a Dreaming Spire for one song, very appropriate for Oxford, and something blue will have to be left to the imagination. Pound for pound there is no finer live band in the UK than Danny and the Champions of the World and every component of this six-piece supreme combo was firing on each cylinder tonight. Danny mixes sheer exuberant humility with every sinew of soul in his vocal make up, while the evergreen Chris Clarke holds court on bass. Paul Lush sparkles on every invited lead solo as Henry Senior Jr continues to bring the pedal steel guitar to life on track after track. Percussion-wise Steve Brookes drives the band along leaving Free Jazz Geoff to be the ace in the pack. A younger band’s lead singer has been known to crowd surf from time to time; older front performers often stroll through the crowd, but only at a Champs gig can you have a sax conga. Sorry Danny for breaking the Official Secrets code. While the new album is a touch fresh to have ingrained live favourites, no doubt this will change over time. The two lead tracks from WHAT KIND OF LOVE replicated their album position in this evening’s set list as ‘Clear Water’ and ‘Precious Cargo’ go a long way to define the sound on the new record which is by far the most heavily soul influenced album in the band’s catalogue. Out of the other prime tracks played from this new record, ‘Words on the Wind’ and ‘Thinking About My Friend’ came across best on first live listen with the latter being extended for an ongoing bout of band member introductions. The title track formed a two part segment where most of the band took a breather allowing Danny and Paul a more intimate spotlight which was concluded by a crowd accompanied vociferous version of ‘Henry the Van’. While the new record beds down in the Champs set list, the songs from STAY TRUE have matured into much loved old favourites. ‘Never Stop Building (That Old Space Rocket)’ is still their finest ever song in these quarters with the immortal line ‘three chords and a heart on fire, just like walking out on the wire’. ‘Stay True’ and ‘Cold Cold World’ were the other two songs from this album to feature and sounded as good as ever. Elsewhere ‘Every Beat of My Heart’, ‘These Days’ and the encore number ‘Restless Feet’ provide the perfect Saturday night soundtrack as Danny’s invitation to dance was heeded by many in this usual diverse congregation of Champs fans. This top notch evening of high value entertainment was enhanced by the late addition of Ags Connolly to open in the absence of the previously billed Michele Stodart. Ags is another firm favourite in these quarters and is a performer who exudes authentic country music in the true and proper way. 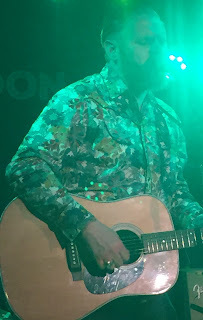 The early start for this show, due the venue’s live music curfew ahead of the usual Saturday night club offering, proved no obstacle for Ags who quickly exercised his impressive vocal pipes to deliver a short set mainly based around his debut album HOW ABOUT NOW. 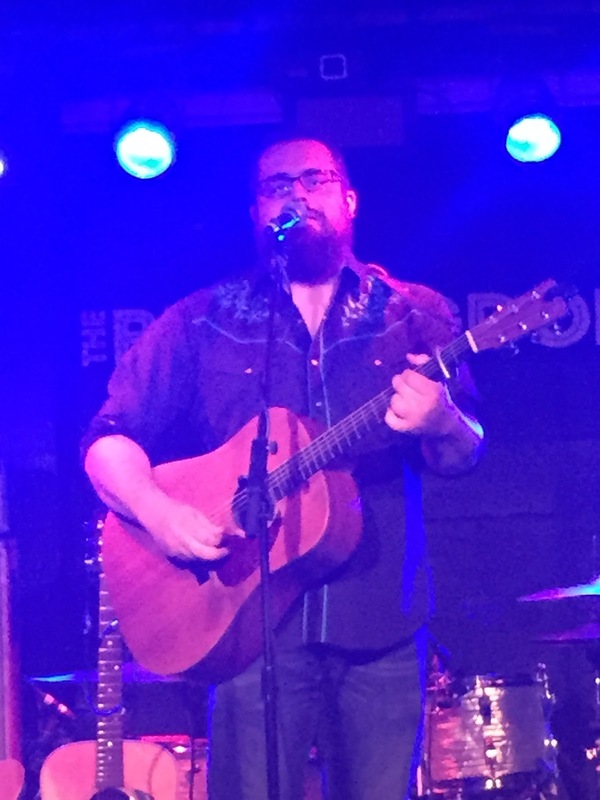 Many of the country music upstarts would learn a few things from spending time listening to Ags Connolly and his signature track ‘When Country Was Proud’ should be a staple ingredient in any aspiring performer’s schooling. This was the first time crossing Ags' path on the live circuit and hopefully not the last. On the other hand, Danny and the Champions of the World have been seen many times before, but not perhaps quite in this most passionate of settings as experienced in a packed out Bullingdon. Take note Birmingham, it is possible with a little effort to fill a moderate venue to the rafters when you publicise that the ‘best live band around' are in town. Empty Rooms Promotions deserve continued credit for supporting exceptional live music in their area. 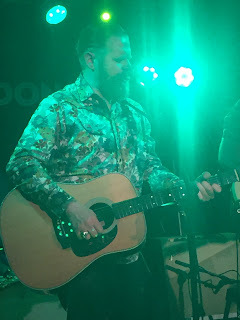 As the year approaches its midway point, this show was comfortably in the upper echelons of the 2015 gig cycle, matching well with the cultured Americana of The Mavericks and the frenzied alt-folk of Katzenjammer. However there is probably no band that maximises their potential more than Danny and the Champions of the World and any attached tags are fully there on merit.